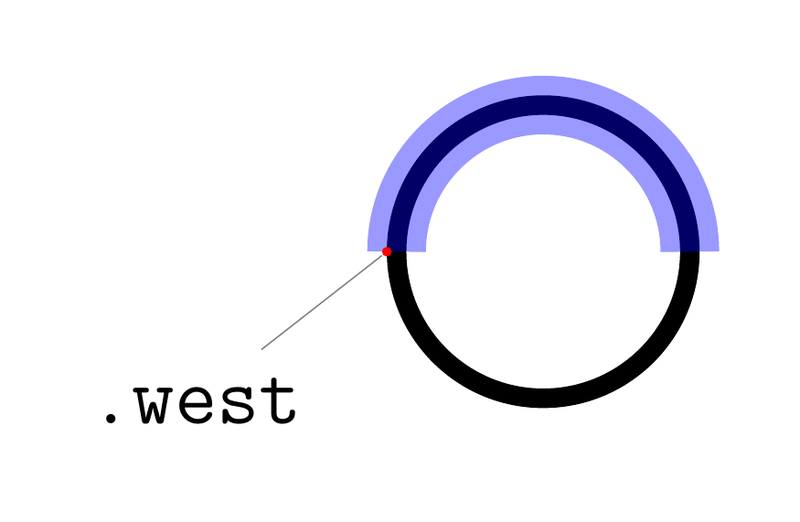 If a node is defined as a circle and you want to use anchors (west and east) from the node to draw an arc around the node, how do you ensure that the arc is anchored about the centre (red line in figure below; see 'using coordinates' in the MWE below) of the circumference of the circle, rather than at the left edge (blue line in figure below; see 'using anchors' in the MWE below). That is, if you use anchors, the black output is produced, but if you use coordinates, the red output is produced. I appreciate that this is a subtle point, but I would like to properly understand how node anchors work! Why not do it simply in terms of coordinates? This is part of a much larger figure where I would ideally like to define drawings in terms of node anchors for simplicity. The clue is that the west anchor lies on the outside of the line, not the middle of it. 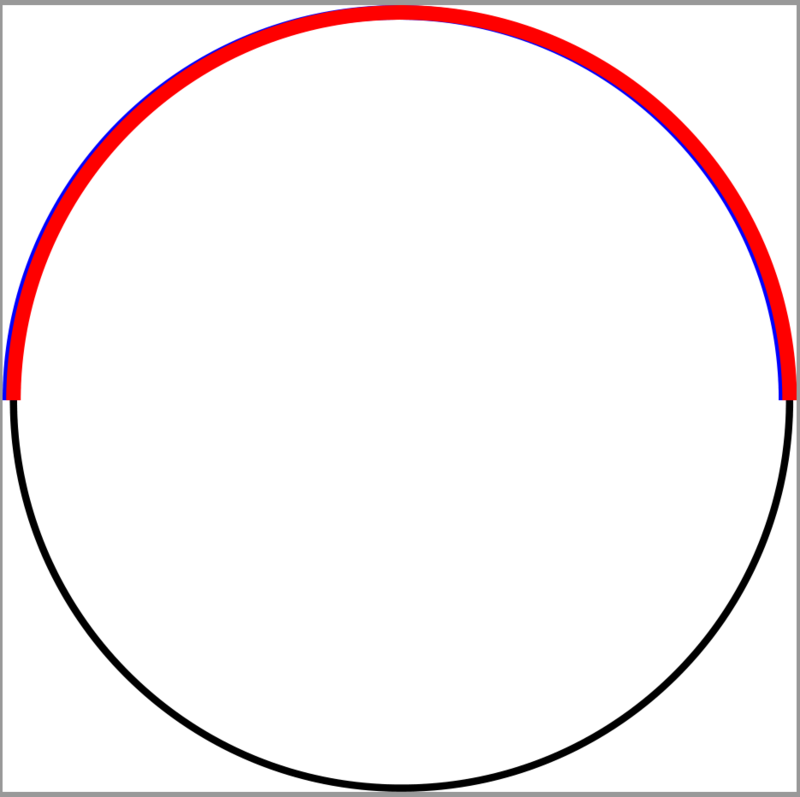 Because of that you have to shift the start point of the arc by half the width of the line. While I used Cartesian coordinates for the shift here, in general it would be better to use polar coordinates (assuming circles). That is, use ++(<start angle>-180:<half the linewidth>) (in this case (0:0.5mm)). Not the answer you're looking for? Browse other questions tagged tikz-pgf nodes node-connections or ask your own question. circle vs arch with shorten — normal or bug? How to “outline” a path in TiKZ?